Press Release (ePRNews.com) - ORINDA, Calif. - Dec 05, 2017 - Old world charm meets new world comfort within Davidon Homes’ collection of single and two-story luxury homes at Wilder, Orinda, a new master-planned community in the East Bay. Offered from $1.9 million, the 3 to 5 bedroom homes range from 3,008 to 4,236 square feet, feature 3.5 to 5.5 baths, 2 to 3-car garages and a variety of styles that represent the unique character of Northern California’s early streetscapes. “Nestled in the hills of the historic City of Orinda, Wilder evokes the small town charm of a bygone era. Inspired by its location, we looked to early Northern California architecture styles to give our homes a sense of place within a rich community history,” stated Marc Burnstein, Vice President Sales and Marketing, Davidon Homes. Evoking heritage style, Davidon at Wilder features architecturally-distinctive elevations that include Bay Area Cottage, Craftsman, Spanish Colonial, Adobe Ranch, Monterey, Orinda Ranch, and East Bay Arts and Crafts. Artisan exterior design details such as stucco finishes, ceramic tiles, pre-cast columns, trims and accents, heavy timber rafters, and brick and stone masonry, per elevation, make for elegant first impressions. Nestled in the hills of the historic City of Orinda, Wilder evokes the small town charm of a bygone era. Inspired by its location we looked to early Northern California architecture styles to give our homes a sense of place within a rich community history. In addition to Old World charm the homes offer an impressive array of designer features and modern amenities including epicurean kitchens with Thermador appliances, hardwood and tile flooring, designer light fixtures in complementary styles, LED lighting, frameless face-style cabinetry with soft-close drawers and doors, 10’ ceilings or high volume sloped ceilings (per plan), master suites with romantic fireplaces, junior master bedrooms with walk-in closets and en suite baths (per plan), and outdoor living areas that maximize views of Wilder’s more than 1,300 acres of dedicated open space. Davidon homebuyers at Wilder also enjoy community amenities such as the Quarry House, a private swim and recreation center, a 6,600 square foot Art & Garden Center, five community ballfields, and an extensive network of trails and pathways beckoning for exploration. Located just a short drive from San Francisco off of Highway 24, and boasting easy access to other major employment centers, BART, downtown Orinda and award-winning schools, Wilder is the ideal community for East Bay families and tech entrepreneurs to call home. 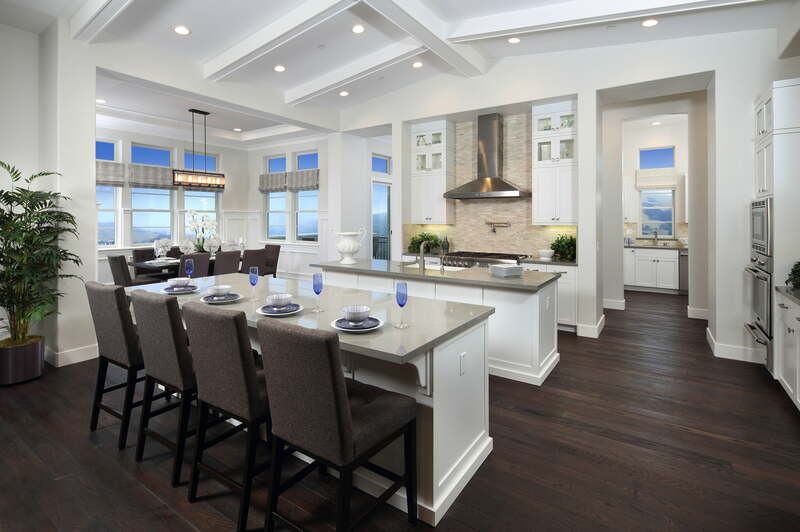 Founded in Walnut Creek, California, in 1982, Davidon Homes is a privately-held, award-winning homebuilder with a widely recognized reputation for combining old world craftsmanship with new world innovation. With an over 30-year tradition of excellence in homebuilding, Davidon Homes takes great pride in first building a foundation of trust and respect with each and every home buyer. It is from this solid foundation that houses become homes and communities become neighborhoods. For more information about Davidon Homes, visit Homesbydavidon.com.